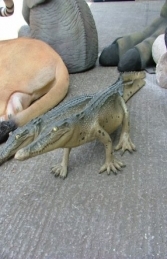 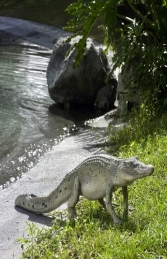 This unusual small scale model Crocodile shows the replica reptile in a walking pose up on its legs rather than sunning itself on the river bank. 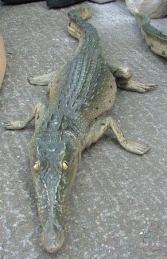 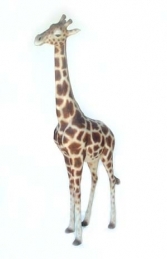 This walking Crocodile looks great with our other 4ft long Crocodile and is ideal for African, jungle and safari theming. 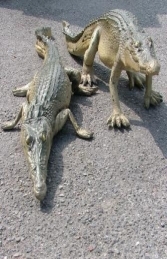 Imagine the looks from your neighbours and friends if you had a couple of these in the garden!